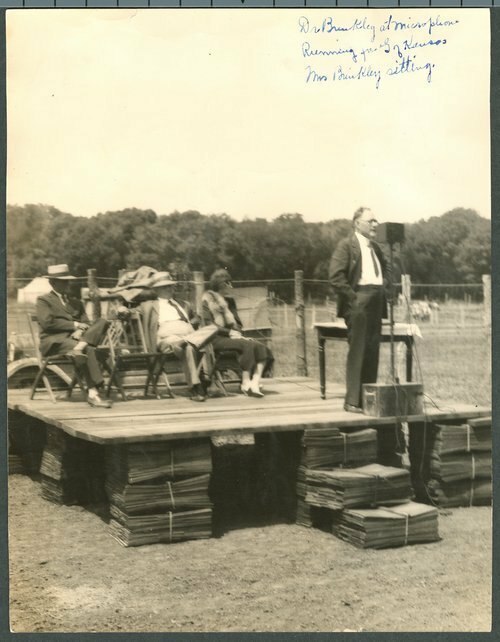 A photograph showing Dr. John R. Brinkley campaigning for Kansas governor in either 1930 or 1932. In the 1930 election, he ran against Frank Hauke and Harry Woodring and in 1932, his opponents were Harry Woodring and Alfred Landon. He was defeated in both elections.